The art of making cookies and crackers is that of turning simple ingredients into wonderful things. 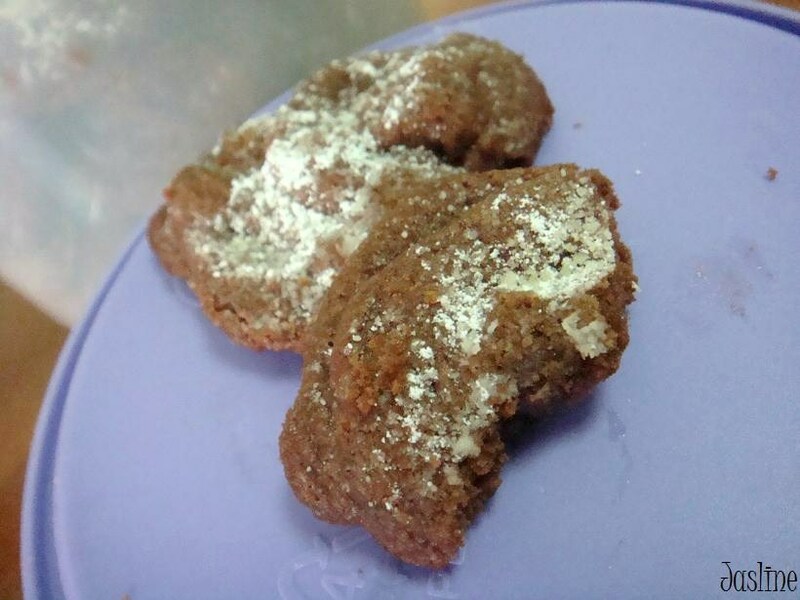 These cookies are extremely easy to make and they are suitable for people with egg allergy (or allergic to eggs) as this recipe does not require any eggs at all. Eggs are normally used in recipes as binding agent, for this recipe, cornstarch has been used to substitute eggs as the binding agent. It requires just the creaming of butter and icing sugar and then the addition of a sieved flour mixture – plain flour, cornstarch, salt and cocoa powder. Fold in the chocolate chips and then they are ready for the trail in the oven. 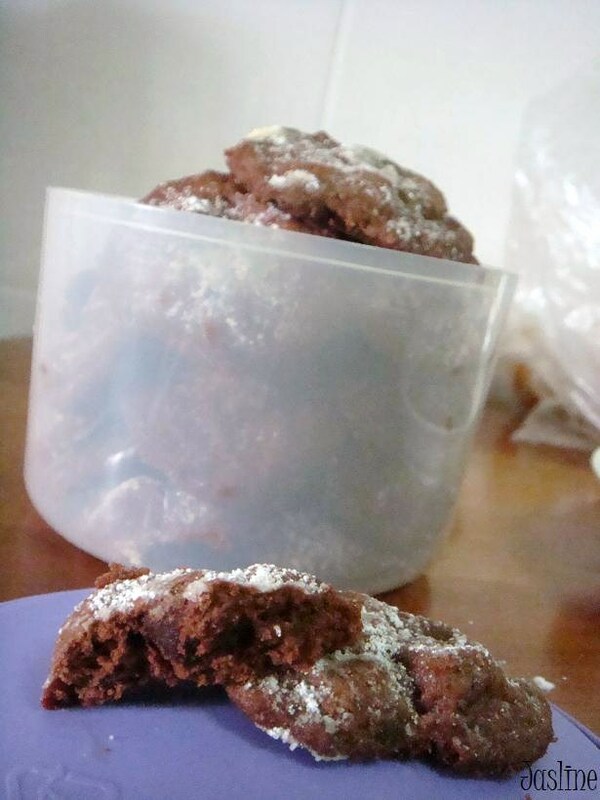 There is no need to reduce the amount of icing sugar if you are using unsweetened cocoa (I used Hershey unsweetened cocoa as that’s what I have on hand). 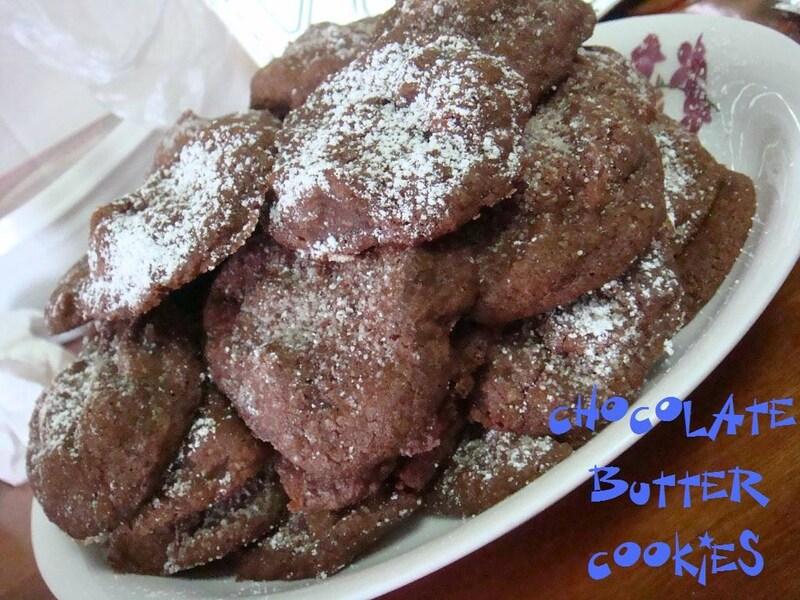 You can use Dutch-process cocoa powder as well (according to the original recipe). The dusting of the icing sugar will not affect much of the sweetness of the cookies. These cookies will come out of the oven REALLY crumbly, so make sure they are completely cooled before removing them from the baking sheet gently as they are very fragile. However, I’m sure there will be times when you can’t resist the temptation of gobbling the hot cookies but just try to abstain yourself! The timing used to bake the cookies varies from people to people. I like to bake it a little longer so that they become a little crispy yet still crumbly inside. Some people may think that these cookies tasted like powder, that’s a sign that you’ve under-baked the cookies. Give it a minute or two extra and try again, until you get the desired texture. These cookies can be kept in an airtight container for up to 5 days (seriously I doubt they can last that long) and can be freeze in resealable plastic freezer bags or airtight containers for up to 2 weeks. Preheat oven to 180 degrees Celsius. Line 2 baking sheets with parchment paper. In a bowl, sift together flour, cornstarch, cocoa powder and salt. In another bowl, beat butter and confectioner’s sugar till light and fluffy, 5 to 7 minutes, scrapping the sides occasionally. Add flour mixture, mixing, until smooth. Stir in chocolate chips. Scoop cookie batter by heaping teaspoonfuls, drop them onto prepared baking sheets. Bake for 10 to 12 minutes till firm around the edges. Remove to wire rack and generously sprinkle hot cookies with extra confectioner’s sugar. Let cookies cool completely on baking sheets on racks.